In my last blog post, I talked about the slow block of a bodybuilding blocker. It’s funny; sometimes, a martial arts tactic is so ingrained in you, that it becomes an “automatic” in your self-defense arsenal. So ingrained in my responses, that I forgot to point it out in the previous blog post. When I refer to opponents with bulky arms being slow blockers, it’s NOT because the muscles force them to move slowly. I have seen people who are ripped with all sorts of muscles respond with some very fast-twitch movements. Their bulky biceps and triceps don’t seem to slow them down, at all. Hmm. Then what am I talking about? Why did I mention slow responses in the last post? The reason they react almost in slow motion is because I “make” them react this way. What do I do that causes their muscles to slow down to the speed of dripping molasses? Wait! Don’t click away just yet…. 1) There seems to be an arm blocking my way to the target. 3) I need to slow down this response, so that I have time to go around the arm. 5) So, I hit the person … some way, some how. I’ll even hit the blocking arm, after all, this is NOT a competition. 6) Often, if you hit someone strong, I mean really pop them, it will tense up their muscles almost involuntarily. It’s a natural reaction. 7) When their muscles are tense and mine are loose, I can move faster, easier, and more efficiently than their arm in its frozen state. When I studied with Steve Golden, an original Ed Parker and Bruce Lee student, the entire class worked on learning to truly move our weapons before our checks. 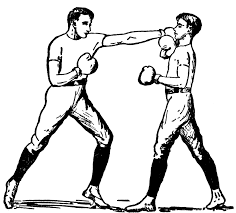 This meant that if a punch were coming right at you, you’d have to start your counter punch or kick even before you blocked or checked the punch coming at you. This switch order was integral to Bruce Lee’s Jeet Kune Do (JKD). We worked to retrain the natural reaction of blocking first. But I had something else that I, personally, had to train for…. 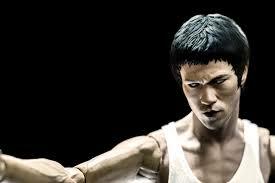 When we practiced infighting, like Chi Sao (sticky hands), each time someone hit me in the chest, my muscles tensed. It was a natural reaction for me, just as blocking first was a natural reaction to others. Let’s just say that the others in the class had long since overcome their tendency to lock their muscles after getting “tagged.” They knew how to stay loose. Steve took me aside, with another, more advanced student. He had the student “roll” with me. Suddenly, this guy, already a black belt, hit me in the chest … and my only two choices were to immediately hit back with a relaxed punch. Or I could continue to roll with arms relaxed. Steve dictated the rules and those were my allowable responses. Relaxed … roll, or counterpunch. If I were to tense and try to hit or tense and try to roll, I’d immediately be in a world of hurt. My opponent/partner would control situation. My muscles tensing is what did me in. So, we practiced again and again … I mean thousands of times over the course of several months. Eventually, getting hit didn’t make my muscles constrict, at all. This meant that I could “hit back” almost on the same beat as the original hit to my body. My response followed just a hair behind the received hit. Or if you want to tense someone’s arm, try hitting them in the arm! No kidding. In fact, pop your enemy’s arm a few times, to really make him or her gun shy. That’s even better than creating the slow-moving block. The second way for you to take advantage of this knowledge is to take steps to train yourself NOT to “heavy block” after getting hit. 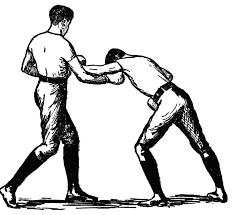 Imagine being able to stay loose – a big advantage in a fight – until your fist or foot makes contact with your enemy. You tense at impact and not a split second before. Wow. This is kind of a secret tip: If you can get someone to tense their arm, because you hit them, then you can grab that arm to prolong the tensing. Let’s say I get in a shot to the chest. Kaplowie! Now, if I grab that tense arm, my opponent will fight it … while my other fist is already punching … or my foot is already kicking. Take my word for it, unless they are very advanced, the struggle of the arm will become their focus. You can make them struggle against your grip (or against the force of your push), whether they want to or not. And as I said, you have all sorts of lines of attack, while this distraction is taking place.